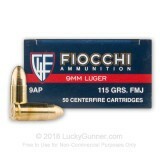 Lucky Gunner® carries ammo for sale and only offers in stock cheap ammo - 100% guaranteed. 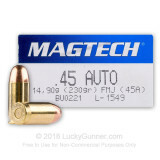 Whether you are looking for rifle ammo, handgun ammo, rimfire ammo, or shotgun ammo, you've come to the best place on the Internet to find it all in stock and ready to ship! 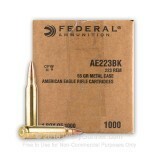 Searching for a lot of ammunition? Don't worry, Lucky Gunner carries bulk ammo too in all of our calibers for those who want to save extra money by ordering more than 500 rounds. More importantly, whatever you see on our website - whether it's ammo for handguns, pistols, revolvers, rifles, or shotguns - we've got it here, cheap, in stock, and ready to ship to your door ASAP. Try us out and you'll see how hard we work to make sure your purchase is 5-star worthy! Our real-time inventory control system ensures the quantity shown on our website is in our warehouse.